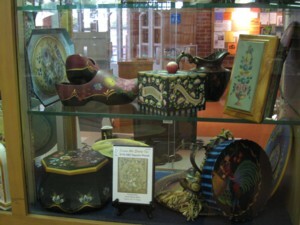 The newest entry in the library’s display case is from the Northern California Decorative Artists. Each October marks the celebration of National Tole Week. During this week the group promotes awareness of decorative painting by hosting displays in libraries. The current display was created by local chapter members Nadine, Linda and Pam. The display will remain in the library until Saturday, November 17th. Saturday morning (October 27, 10:30 a.m.) we’ll hold a 2 hour free workshop in getting started in genealogy. Teacher, Sue Scott will pass on tips for searching using specialized resources and databases. 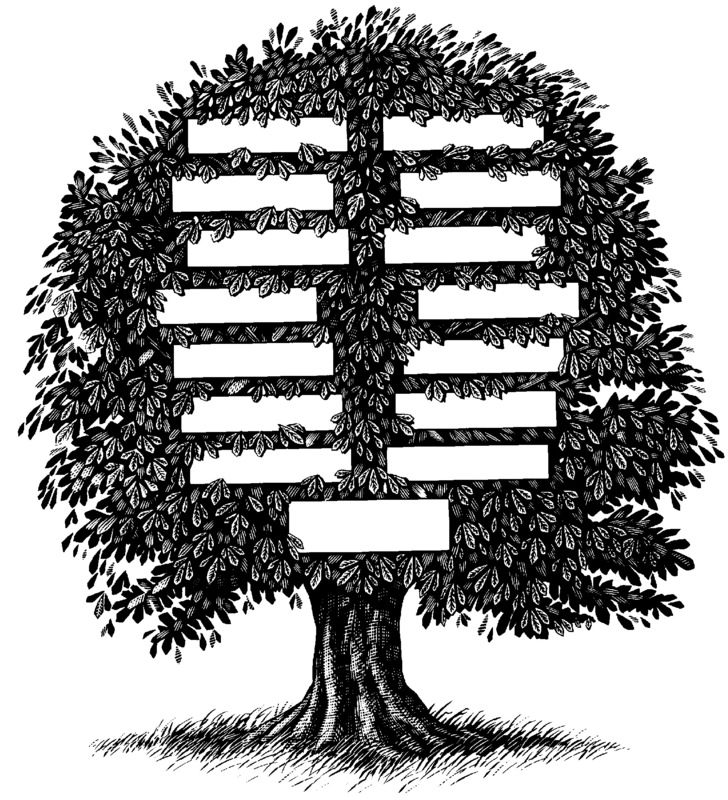 Tracing the family tree has become accessible to just about anybody who can get a little time on the Internet. But it takes some time figuring out where to start. The premiere website for genealogical research, www.ancestry.com is free to Alameda County Library users at all Library locations (terms of the agreement state it is only accessible from library computers). This amazing site will help you dig through census records, newspaper clippings, military records, historical phone books and other documents to begin to build a real family tree. The Library also subscribes to www.hertiagequestonline.com which you may access from home with your library card. The census entries on the latter are less complete, but it’s easy to use and a good place for beginners to start. It also has digitized books and articles that can be searched by family name. There are also a few good places you may search for free including www.familysearch.com and www.rootsweb.com., but they will tease you with a few tidbits of information and inevitably lead you back to Ancestry! Serious hobbyists pay an average of $155.00 per year to get into Ancestry.com. Remember, it’s free to use at the Library. Come to the workshop, or come see us anytime and we’ll help you get started on this popular (and slightly addictive) pastime..
Thousands of books found new homes at the Friends of the Library book sale held at Our Lady of Grace Church on Friday and Saturday. 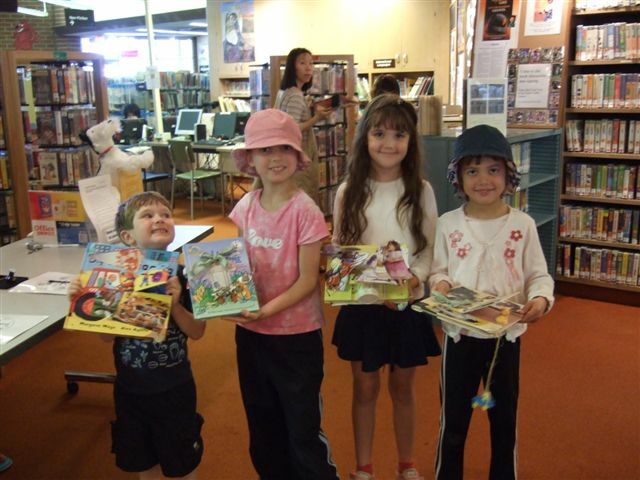 Proceeds from the sale will go into the New Castro Valley Library furnishings fund.The library staff appreciates the generosity of our patrons for their donations of books in good condition, and the hard work of our Friends and volunteers in making it all happen. And thanks to all who came out to shop the new sale location. Hope you enjoy your bargains! Visit the library to see some of the creations from our Altered Book program now being featured in the display case. The kids who participated transformed our picture book discards into works of art, and had lots of fun too! In what will be a continuous monthly program, we held our 1st Teen Open Mic on Monday. Teens from the local Castro Valley high schools we’re invited to share their own music, art, comedic stylings, poetry and other written works with their peers. 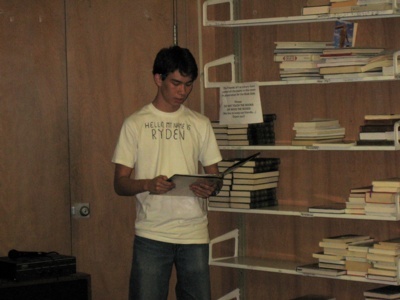 (Poetry and written works were the dominate creative work featured on the 1st night. These works covered a wide variety of topics including nature, race, love, friendship, and even the transformation of a beloved childhood park as the years rolled by) Between 15-20 teens showed up for the program, roughly half of which braved an audience composed of their peers, a couple of local teachers, and even a family, to share their creation with everybody. Castro Valley High School Senior Ryden Ishida (pictured), who is a major creative force behind this venture, kicked off the festivities by reading a poem he had created. All in all, everyone in attendance seemed to have a good time, and we look forward to seeing these and other talented teens at future open mic events. Our Teen Open Mic Program will be held the 1st Monday of every month (that means next one is Nov. 5th), from 7.00-8.00 p.m. in the Castro Valley Meeting Room. 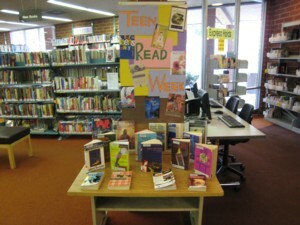 We invite teens to come on by and check it out.